Could the Wahoo RFLKT Computer compete against more expensive GPS units? But that is also it’s major selling point. By using the i-phone to do all the hard work like reading sensors, working out routes and changing your music selection. The Wahoo RFLKT can concentrate on one thing, displaying data. Your phone stays in your pocket, where it’s relatively safe and transmits data to the RFLKT. So your phone is safe and as your not leaving the screen on and draining your battery, you’ll get more time between charges. Like their KICKR trainer, the RFLKT uses an open platform that allows anyone who has the developers kit to write an app for it. At the moment there are only two written, Wahoo’s own Fitness app and iMobileIntervals, but Strava and Cyclemter will be coming soon and others will follow. 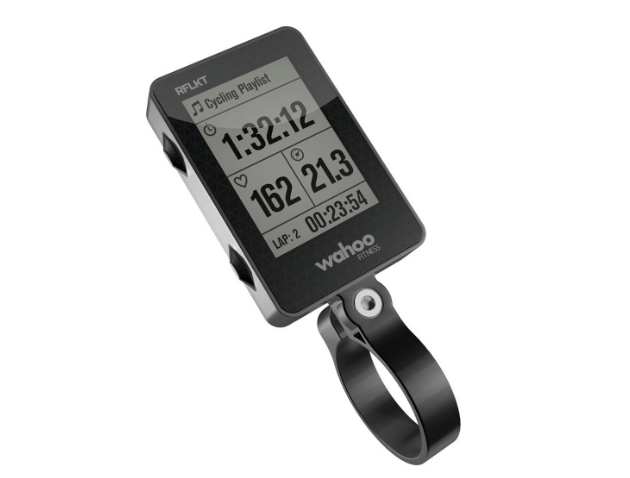 So with four customisable screens, an open software platform and the power of your iphone, could the Wahoo RFLKT compete against something like the Garmin Edge 800? Pricewise the RFLKT with HRM and speed/cadence sensor will set you back $269.97. That doesn’t include the cost of an app. iMobileIntervals costs $5.99 and there are plenty of free or paid for apps out there. The Edge 800 with a similar setup is $580, so straightaway that’s a major advantage. So what are the disadvantages? Well first off the RFLKT uses a Bluetooth 4.0 connection, which means at the moment you can only use an iphone. Bluetooth 4 will soon be available on other phones, as to exactly when… we’re a bike site, so your guess is as good as ours. Suffice to say it is coming. The other issue is while speed, cadence and HR sensors are all available in Bluetooth, power sensors are a bit thin on the ground. 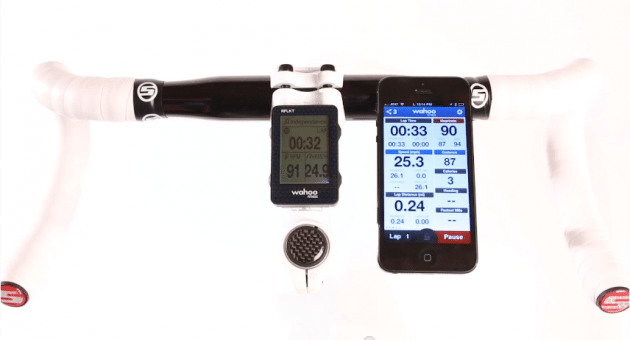 The Wahoo KICKR and Kinetic indoor trainers, and the Stages crank based power meter, all use Bluetooth. If they won’t cut it one way around this could be to plug in an Ant+ receiver to your phone… or wait for the Ant+ RFLKT which will ship sometime soon. The RFLKT will run off a single CR2025 cell, which should give you 12-18 months use, unless you leave the backlight on. A useful feature for those that train in the dark, but it will drain the battery. There are two mounting options, on the stem or out front of the handlebars. We’ll keep an eye on this one as new apps are produced and hopefully bring you a full review. Had to check – Bluetooth 4.0 is present on my HTC EVO 4G LTE, an android phone…so it’s definitely out there. if you get hold of one, would be good to see if it can connect. It connected for us first time and easy to then upload your data to Strava. We are big fans of keeping your phone in your jersey pocket not on your handlebars.